As I mentioned, I felt that the initial post I’d written was too big and difficult to find the recipes. 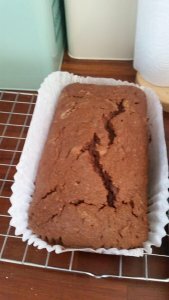 So I’ve written a post for each recipe. 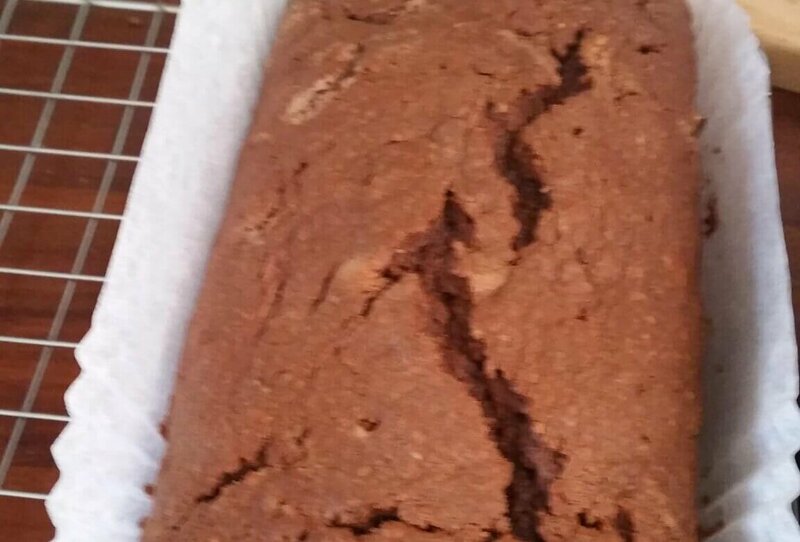 So here is my recipe for Chocolate Courgette Loaf Cake. 1.Heat the oven to 180 C/160 C fan/Gas 4. 3. Cream together the margarine and golden caster sugar until pale and fluffy. Add the eggs and 2 tbsp flour and beat well. 4. Sift in the remaining flour and fold together thoroughly with the almonds and courgette. 5. Finally stir in the melted chocolate then spoon into the prepared tin. Level the top with the back of the spoon and bake for 60 minutes until well risen. 6. To test if it’s cooked, insert a metal skewer into the centre of the cake – if it comes out clean, it’s ready, if not return to the oven for a bit longer.